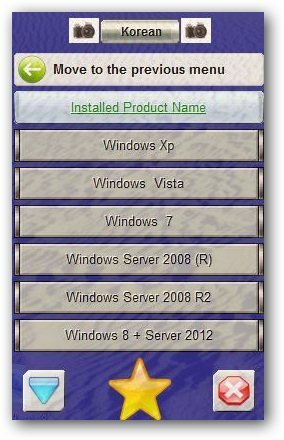 Now, while pirates can activate and use illegal copies of windows 8 - it should be noted that these are not real cracks and work by exploiting the genuine Microsoft KMS activation service aimed for volume licensing. KMS activation method allows copies to Microsoft software's to be activated in bulk legally for 180 days. Similar to KMS activator crack for Windows 8 this new hactivation utility performs the same KMS activations (using an illegal or unauthorized server) which works by installing a service which autoruns on 179/180the day of hactivation to reactivate without user knowing about it. The only additional job done by this new utility is to change some files and make Windows 8 cosmetically report that it is fully activated hiding the real status of 180 days KMS activation. CAUTION: Downloading and using any unofficial build of Windows 8 or any hack/crack is not only illegal and a crime punishable by law, but also pose great security risk for user data and should be avoided. The information posted here is for news purpose only and any illegal links posted in comments will be deleted. That hack been out for 2 weeks now you can download it on most if not all steam site. Just to let the site know their are 4 method of activation. Their is also a over write to the host file that lets window into thinking it has been activated online. Just to let this site know RTM can be activated BUT with a time limitation since the retail version is released now. The time limitation end April 2013. So please look up retail version on torrent or steam site. Actually the name is K.J_v121103, Link to which was dl'd directly from the makers site. (a) As posted, illegal downloads link will not get live so no point posting them. 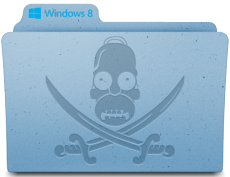 (b) As also warned above, this is labelled as an Trojan - http://www.megaleecher.net/Windows_8_Activator_Crack#comment-39860. It only activates for 180 days. Wait a new DAZ loader for windows 8 for parmanent activation. Is it safe to update then?